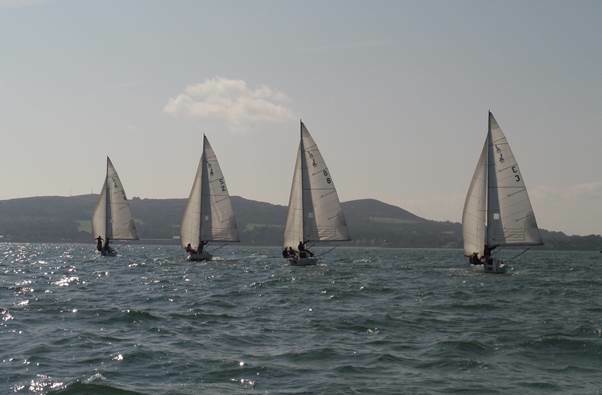 Picture perfect sailing conditions greeted the 16 national champions in Howth today for Day 1 of the ISA All Ireland Sailing Championship. 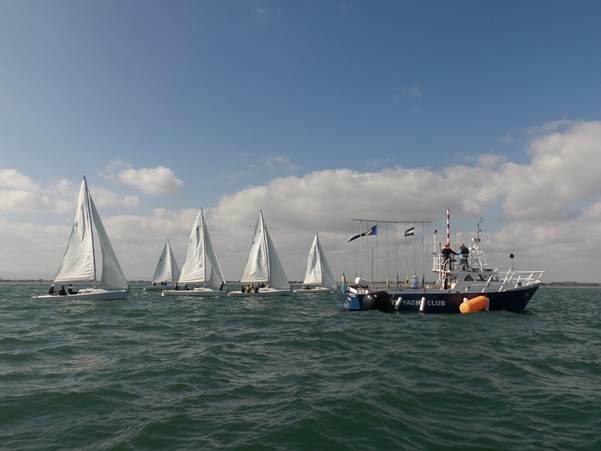 A northerly of 10-12 knots saw the six scheduled races successfully completed under clear blue skies. The top six sailors and their crew will now progress to tomorrow’s Final, while eight further teams must first battle it out for the two remaining places in the repechage. 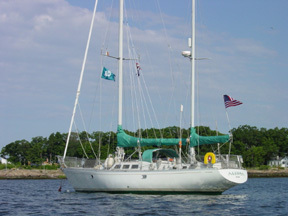 Up for grabs will be the coveted ISA Helmsman Trophy which was first awarded in 1947. Following the flight allocation in the morning, the first eight boats made their way to the course for a 10.30am start under the direction of Race Officer and ISA President David Lovegrove. Commodore’s Cup champion Anthony O’Leary was first to get a win under his belt, closely followed in Race 1 by defending champion Ben Duncan and Northern Irish Squib Champion Ross Vaughan. 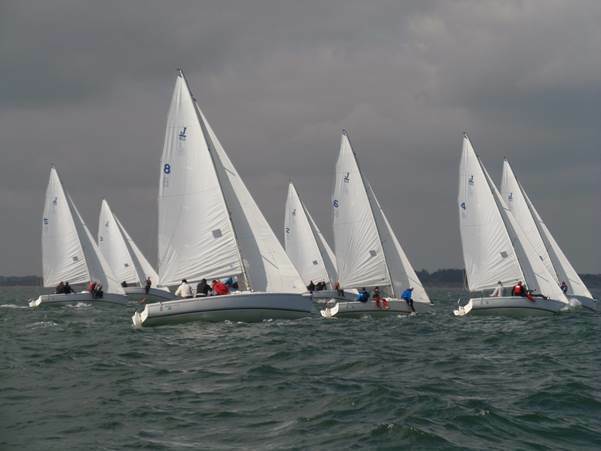 A technical problem with Ian Nagle’s J80 keelboat meant he was unable to finish the race. His score would be awarded based on his average for the next two races - something that would later yield a dramatic change of the leader board. Race 2 returned some interesting results with the initial top competitors all finishing back mid-fleet. Ben Duncan took the final bullet in Race 3 but a 1, 2 from Nagle gave him an average of 1.5 and total of 4.5 points to pip Duncan to the top spot. O’Leary, tied on points with Duncan but losing on count-back, earned the final guaranteed place in the Final. Ross Vaughan, Pat O'Neill, Flor O'Driscoll and Conor Turvey must now sail in the repechage in the hopes of progressing. 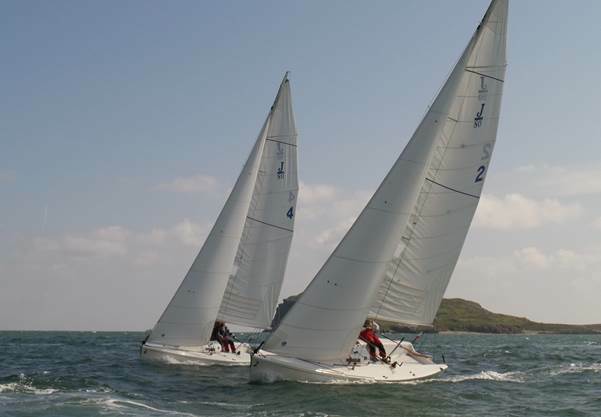 In Flight 2 former All Ireland Champion Stefan Hyde from Royal Cork stormed into the lead, winning the first two races. A 2nd in Race 3 gave him a total of 4 points putting him straight through to the Final in overall pole position. 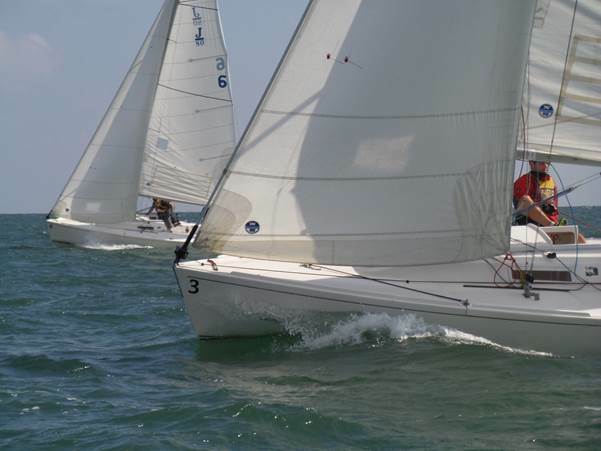 Chris Helme from the Royal St George and Alex Barry from Monkstown Bay Sailing Club finished 2nd and 3rd respectively. Joining the Flight 1 sailors in the repechage will be Richard Evans, Conor Phelan, Laurence Hanley and Guy Kilroy. There are two races planned for the repechage tomorrow with racing scheduled to get underway at 10.15am. Only the top two teams will be given the opportunity to compete against the top six sailors in the Final. Flight results from today will carry forward to the four-race Final with a discard being applied after four races. Tonight all the sailors will enjoy the wonderful hospitality of host club Howth Yacht Club at the champion’s dinner. For live results follow @Irish_Sailing on Twitter.